Born in Coria del Rio, Juan Manuel Suárez Japón is one of the descendants of Hasekura Tsunenaga, and a prominent figure in Spanish academic circles. His contribution in uncovering the history of the “Japón” surname has been substantial, having carried out vital research on the historic and cultural links between Japan and Coria del Rio. This has been reflected in works such as “De Sendai a Coria del Río. Historias de Japoneses y Japones” (2014) and “Japones y Japoneses a orillas del Guadalquivir” (2007). In 2017, he was the recipient of the Order of the Rising Sun, the highest distinction granted by the Emperor of Japan, in recognition of his intensive research and contribution to the bilateral relations between Japan and Spain. 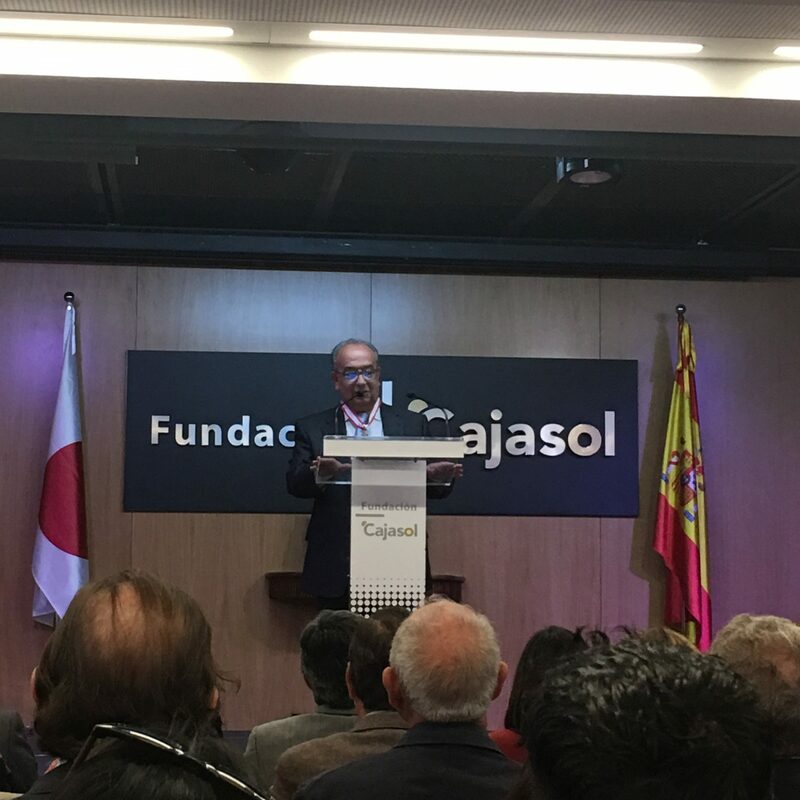 Suárez Japón is also a founding member of the Asociación de Amistad Hispano-Japonesa de Coria del Río, of which he is the executive vice-president, and actively takes part in encouraging cultural linkages between the two nations.